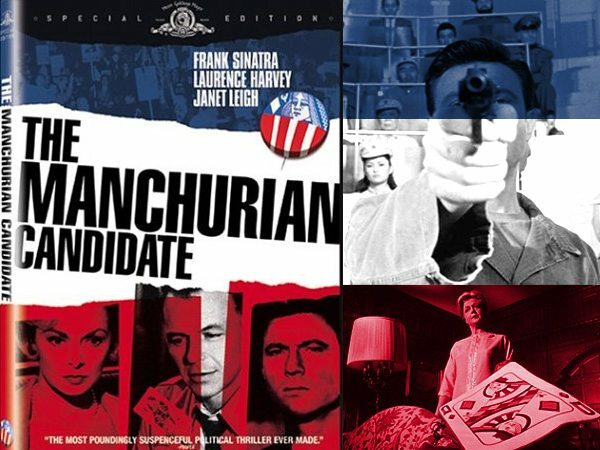 Is the GOP the real Manchurian Candidate? The Manchurian Candidate, the idea of a mole, a plant on the inside using a powerful position (the Presidency) to destroy the nation. Consider, in 2001 the GOP was handed a balanced budget producing a mild surplus. The GOP took that balanced budget and turned it upside down; then using lies, started aggressive wars they knew would cost hundreds of billions but they cut taxes and kicked the cost down the road. Now the bills are due and they refuse to pay. It’s like they threw a big banquet, invited everyone to go shopping and are now ducking out on paying their bills. The GOP has revealed a weakness in our political institutions. The GOP has discovered that a minority can stop the rest from acting. But then the GOP is not interested in actually doing anything. Not a single national endeavor has left their lips in twenty years save for one – go to war on a credit card then dodge the bill when due. In 1988 Newt Gingrich and associates developed their ‘starve the beast’ strategy. Unable to cut services their plan – cut the revenues; the GOP appealed to our baser instincts with tax cuts and an idea of a free lunch. Through their bankrupt ideology and their intellectual dishonesty the U.S. is now on the brink; our reputation is soiled, our standard of living continues to fall and our future is foggy. Vast majorities feel we are on the road to ruin. There is ample evidence. Just look for yourself. But is it just about money and a balance sheet or does it run deeper? The GOP has nothing left save destroying what others are trying to build. Like some beach bully kicking over sand castles they sought to destroy the ‘New Deal’ of FDR and the America as we know it along with it. But let’s be clear, the time has come to confront this monster – it must be done, now. A death by a thousand cuts has no future. Please tell us more – is this the Tea Party skipping out on the Venetian in Las Vegas ($663,000 bill)? They engineered Bush’s re-election in 2004 by again stealing the vote, this time in Ohio and other states. Throughout Bush’s term they systematically LOOTED THE TREASURY OF THE UNITES STATES. They lied us into the war in Iraq, which let them funnel billions to their cronies in defense industries and private mercenary armies. They shipped (literally!) planeloads of money (bundles of $100 bills wrapped in plastic, that their cronies over there played football with before it “disappeared, “claiming the accounting system couldn’t keep up. Money gushed out of the Treasury for tax cuts for millionaires, 2 wars, drugs for Medicare recipients that made it illegal to negotiate with drug companies for volume discounts, which only maximized profits for their Big Pharma cronies. At the same time they de-regulated banks, Wall St, and the housing market…literally giving their big donors a license to steal. Oddly, now money was disappearing not just from the U.S. Treasury, but also from banks AND OUR 40lK’s and OUR HOME EQUITY. The banks told us that “no one could have forseen this failure” and we would just have to give them more billions to bail them out, (The money must have just DISAPPEARED although their bank accounts seemed to keep growing at record rates??? Odd. Now we have no money for Soc. Sec., Medicare, Medicaid, education, health care, or JOBS, or any of those other nasty “New Deal” programs that the Radical Right hates and that might help the poor & middle class. Manchurian Candidates??? How can you say that? I’m sure it was all just a big coincidence……..right?? Here here – Newt and Company declared their intentions to destroy the New Deal and all dependent on it 20 years ago. The damage they have done, I don’t think can be measured in money – it runs much deeper and is for more serious. Unless something changes soon, I doubt the U.S. will hang together. You seem to have forgotten that they(banks) have just about repossesed all the houses normal people can afford. And soon gas will be so costly we will be walking every where. The place is shot. If only the the boomers were sill morally capable of fighting the beast. Instead the people over 55 are being cut from the herd and promised the really green grass if they would just go along with the program. No problem.